Design: Dome shape and flashing LED light make it look very realistic. 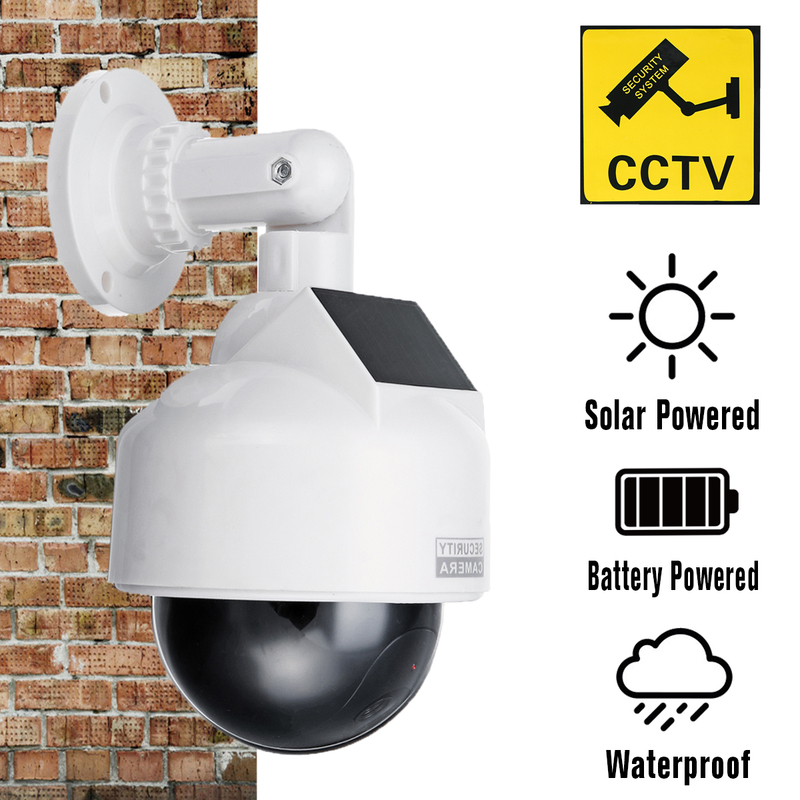 High quality and durable material with realistic color enable to act as a true monitoring camera. Easy Installation: Cheap and effective way to protect your home. Installs quickly and easily to the ceiling or wall with the included screws. No wiring is required. Environment: To protect your home from all directions. Suitable for both indoor and outdoor. 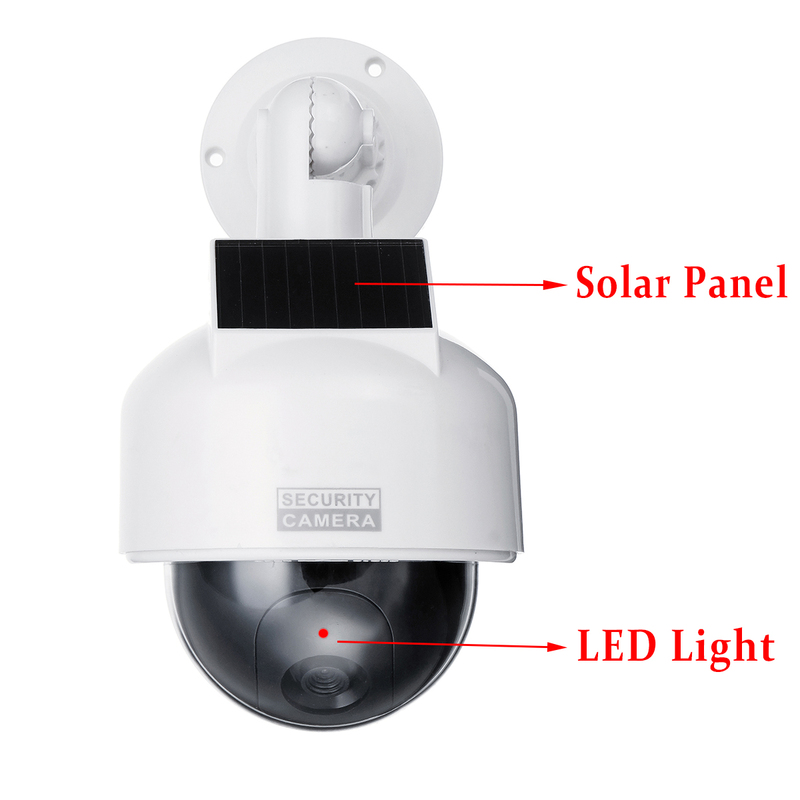 Flashing LED: This dummy camera will flash LED light in period, which acts like a real camera. Just like a real monitoring camera. Solar & Battery Power Supply: This fake camera supports solar charging to lengthen its single service life. And 2 AA batteries allow it to last a very long time. Waterproof: It is waterproof, which allows you to use it at rainy days normally.